In news that will certainly appease tens of millions of FPS fans worldwide, the next installment to the popular Call of Duty series is set to be announced on the first day of May, and is likely to be the sequel to Black Ops, released in late 2010. The franchise has continued to shatter its own records in terms of sales, and is by far the most popular game of all time. 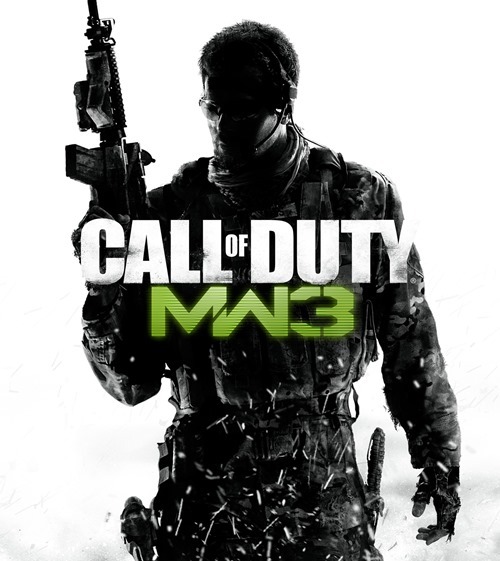 Indeed, the last iteration – Call Of Duty: Modern Warfare 3 – reached the billion dollar mark in an incredible sixteen days, rendering it the fastest selling item in the entertainment industry ever. Quite an achievement, considering box office smash-hit Avatar – arguably the first movie to really entice moviegoers into believing in 3D – was the previous holder of that particular title, reaching the billion mark in nineteen days. Then again, it’s rather dubious to compare the two different industries, especially given that a cinema ticket is cheaper than a brand-new console game; but I digress. A teaser site has arrived for the new title accessible over at CallofDuty.com, and although it hasn’t been confirmed as a follow-up to Black Ops, it would seem the most likely at this point in time. Not everybody took well to Black OPS, but since Modern Warfare 3 has yet to reach it’s total sales numbers, it remains the most successful COD title to date. As can be seen from the teasers, it looks a lot like Black OPS, and is also developed by Treyarch – the same firm behind the 2010 smash. 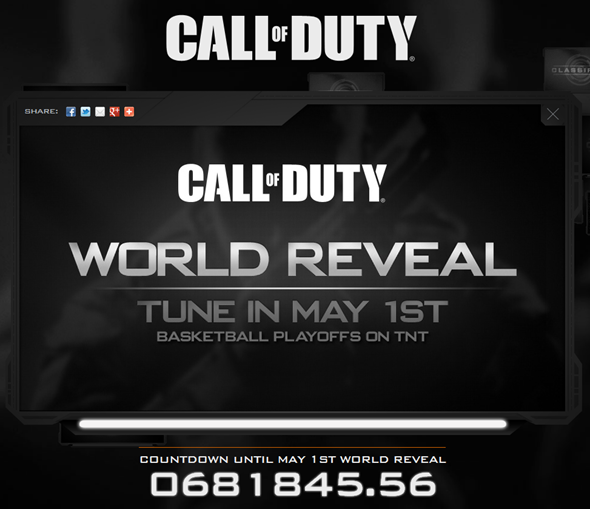 Fans will be treated to an official glimpse of the new title at the US basketball play-offs, shown on TNT, but we’d expect the trailer to be uploaded to the countdown site thereafter. There’s no word as yet on when the title will be hitting the stores, although it will almost certainly release for the Xbox 360 and PlayStation 3 contemporaneously. Prices will also likely be around the 60 dollar mark as usual, and with the Samsung Galaxy S III set to be announced two days after the May 1st announcement, it certainly makes for an exciting start to the month for us fans of all things tech-focused. COD fans: are you excited, or do you feel as though the series is getting a little stale? Please leave your comments via the usual mediums below.